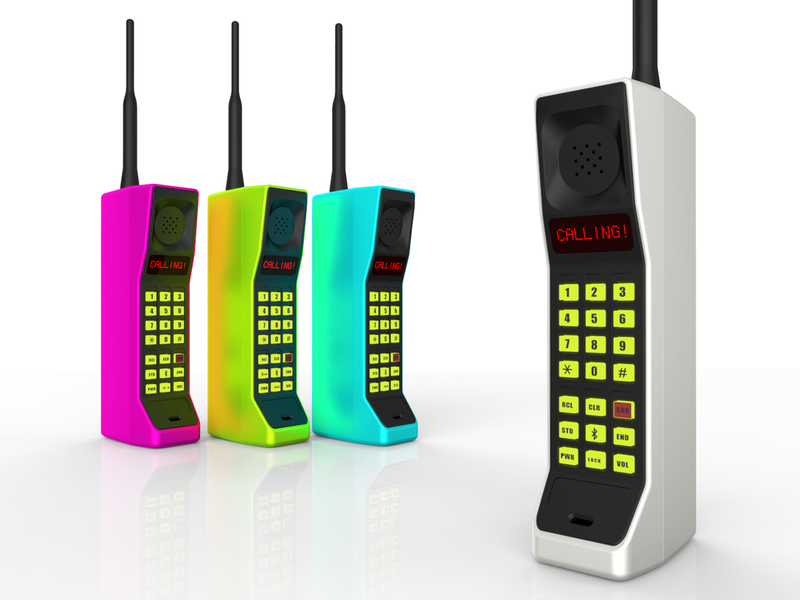 The 80s Retro Brick Handset is a wireless Bluetooth handset styled as a 1980’s “Brick” cellular phone. Using the Bluetooth connection on your cellphone, the Retro Brick easily pairs with your Iphone, Android, or any Bluetooth compatible cellular phone. The Retro Brick makes and receives calls in high quality digital audio. A backlit keypad allows users to place calls directly from the handset. An 8 character alphanumeric LED display allows for easy menu navigation and an authentic look. The Retro Brick can also be used as a Voip Handset. This feature allows you to make Skype Calls Directly from the Retro Brick! The built-in speakerphone is a fun feature for those who enjoy the hands free experience. It also has adjustable volume so you can have conversations in virtually any setting. Standing at an eye catching 13 inches tall, the Retro Brick is impressive on your desk, or a conversation starter when you use it walking down the street. It weighs much less than the original, so the Retro Brick is comfortable to hold and is a stylish substitute for your cell phone. It is available in four color options: Classic White, Neon Blue, Neon Green, and Hot Pink. 30ft range (from paired cell phone). 20 Hours of Talk Time. Submit your email address below for updates.